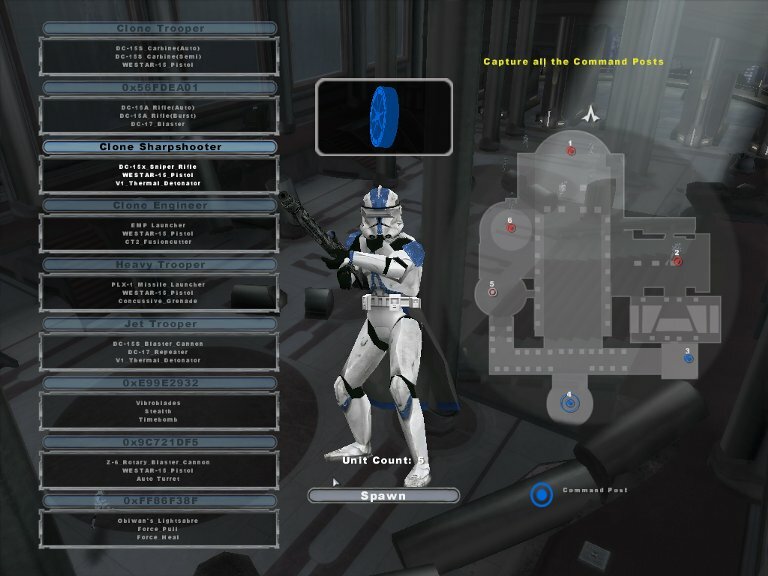 This is a big side mod for the original maps in Star Wars Battlefront 2. Everything has been changed (every single stat from Wookies to V-wings). This will make Battlefront more accurate to Star Wars, more challenging, more complex, more battle-packed and more of what it should of been in general. I try to explore every possibility with side modding in SWBF2. Battlefront Project includes my redone side layout that includes hundreds of new models, re-vamped weapons interface, improved AI and improved Jedi/Sith light saber combos.